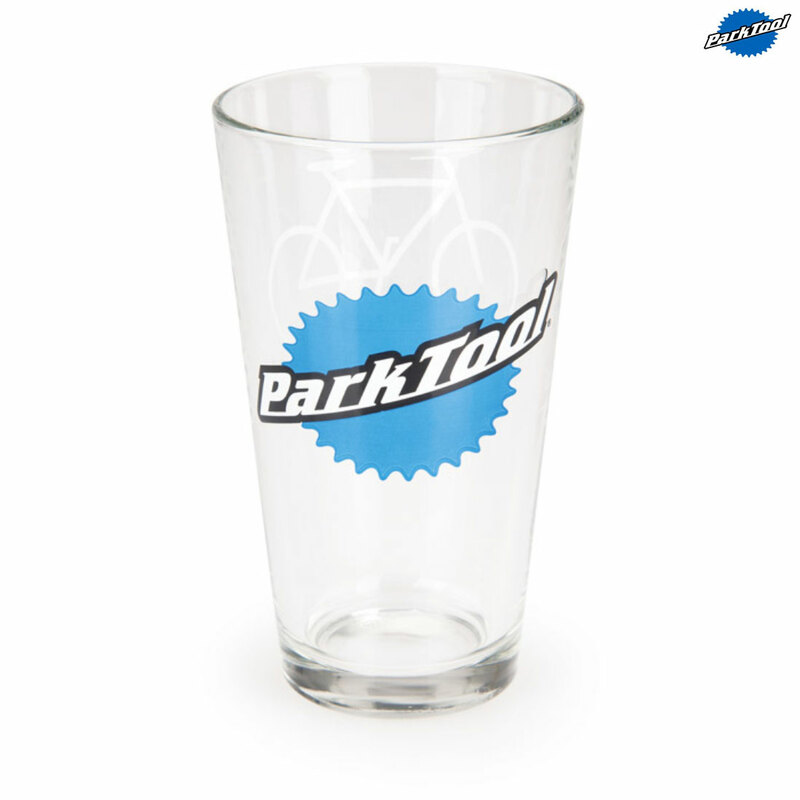 - A high quality pint glass featuring a three-color Park Tool logo on one side and a bike and a wrench on the other. - Holds an American pint of fluid. - Tapered easy grab design. - Made from heavyweight dishwasher-safe glass. - Tapered top rim for dribble-free operation. - Clear glass to allow easy checking of internal fluid level.